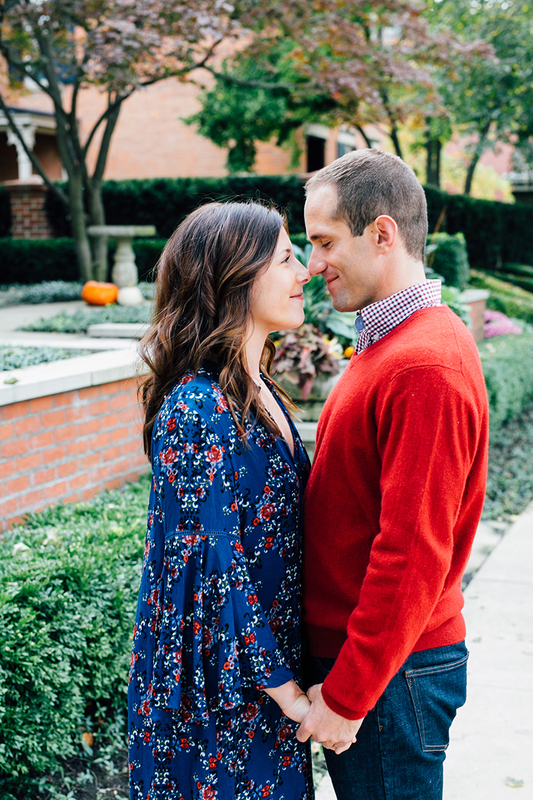 Another gorgeous fall engagement session with two amazing people, Nicole and Nate! 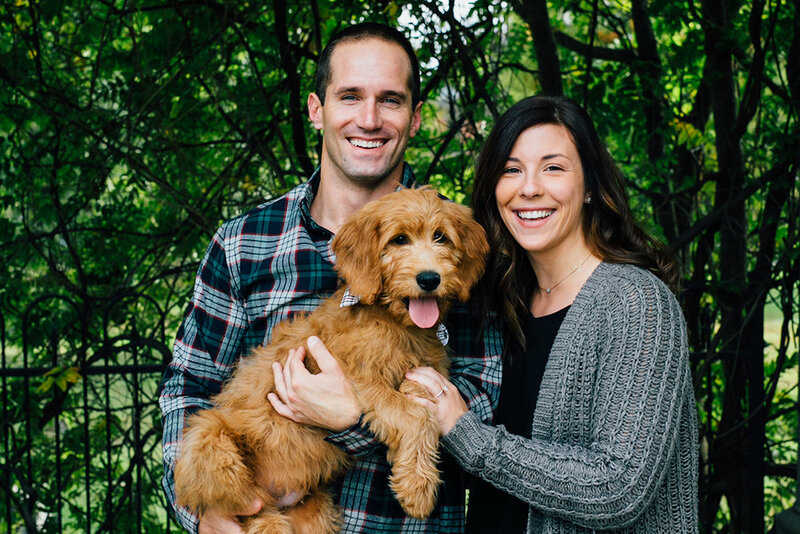 And a guest appearance from their sweet little pup, Tucker, who LOVED the camera. 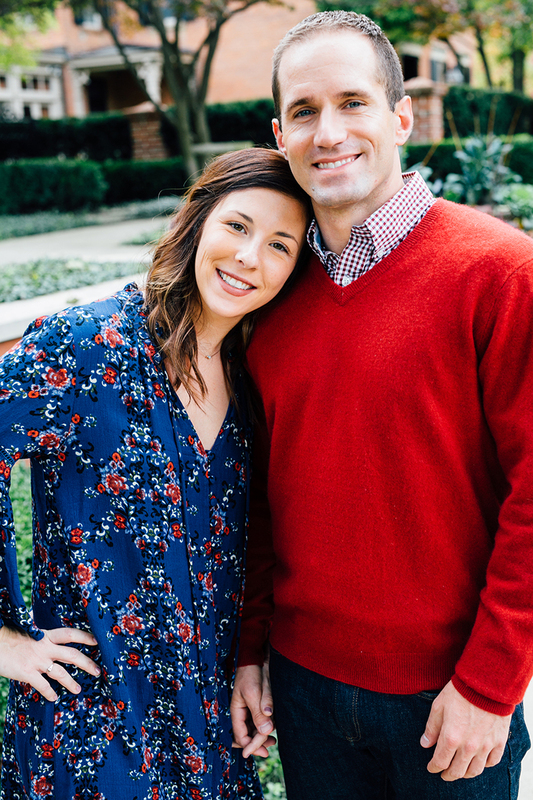 I met this sweet couple a few months ago and we instantly clicked- I am so excited to photograph their wedding next September! 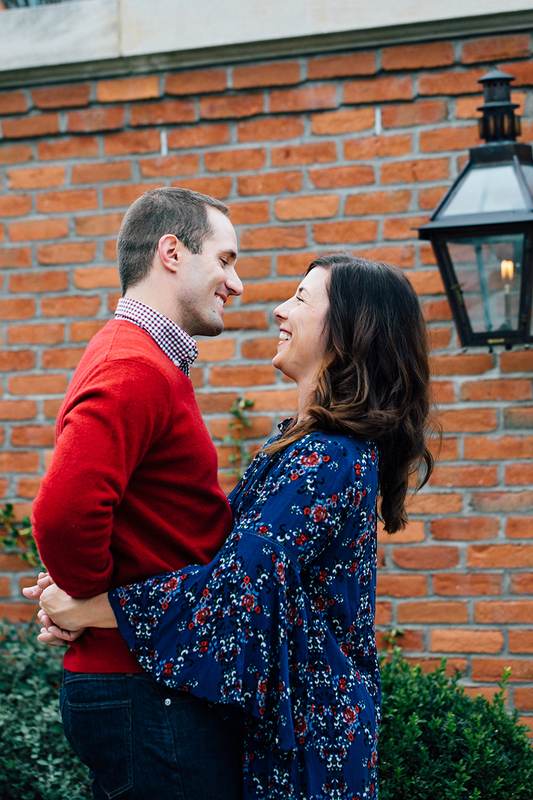 Nicole and Nate compliment each other so well and we all had such a great time at their engagement session roaming around German Village. The fact that flowers were still in bloom at the end of October and the temps were in the high 60s made it a super enjoyable evening to stroll around. It was so hard to choose favorites to share because I'm literally obsessed with this whole session. :) I can't wait for next autumn to document one of the best days of Nicole and Nate's life! Have a great rest of the weekend, friends, and stay on the look out for another fall engagement session blog post later this week! It's been busy over here, but I wouldn't have it any other way!